If anyone can give me a pointer at least, that would be fantastic. It would be such a shame to have to throw out this stereo unit just because of what seems to be a small defect. PS Apologies for the 'test post'. I don't seem to be able to remove it. Admins, feel free to do so. Well, first you should have started your own thread. Second you say the mechanism works fine if the tray is opened / closed and disc installed manually. In this picture, there are two boards. The one with two motors has a 'limit switch' that can become tarnished. Unsolder motor terminals, remove board and turn board upside down, pull clear plastic cover / insulator off leaf switch, burnish contacts and reassemble. Second, just to the right there is a second board with a single motor and two 'tact' switches. The motor shaft probably has a worn belt and/or one or both 'tact' switches are failing to make reliable contact. Usually you can hear motor spinning trying to pull the tray fully closed or push it fully open as the worn belt 'slips.' Unsolder two joints on motor, remove the single screw and release the black plastic clip below it to remove board. Belt should be accessible from the top with the tray, I believe in any position other than fully closed. Sorry I can't be of help, I'm no electronics whizz and I just followed fatz2000's excellent post to the letter. Hope you get a fix. i have done the same repair to my ud-m3 as in listings. works perfect. no need to drill holes for wires as is gap just above the circuit board to the side then used pin nose pliers to grab the wires. 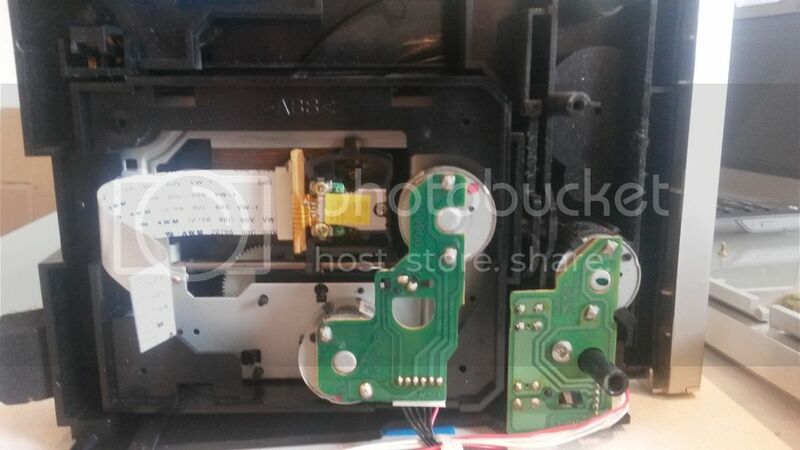 I thought my denon UD-M3 was ready for the bin (no cd eject problem), but I emailed some chap who sold one on ebay with this fault - he said it was a fuse somewhere too. Took my unit apart, and I mean apart. All the boards out etc. The previous post regarding the PR003 is spot on. These are fusable links, they look like brown resistors with only a number. In this case 500 (ma). Mine was open circuit as expected. The location of PR003 is on the underside of the main board. 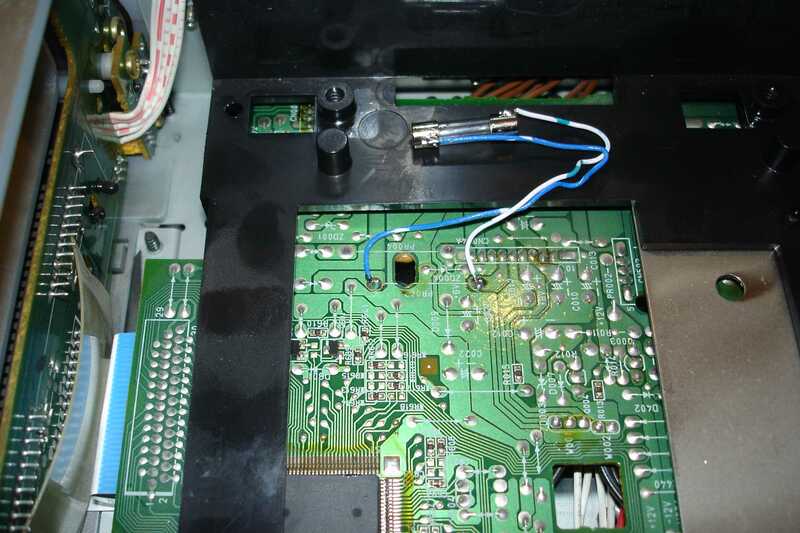 As you dont have to remove the failed component - you can solder a new fuse on the topside. CHECK YOURS IS OPEN CIRCUIT FIRST. I did this whilst the component was on board since it should be a short circuit. Heres are piccys of my fuse in place. You can see the PR003 markings on the top side of the board. I've used a fast blow 500 milli-amp fuse (40 pence each), and the unit is working fine now. Obviously do all of this at your own risk!! Hi, My Denon UD-M3 is not able to play commercial music CDs. It skips, repeats a section continuously, freezes, etc. In desperation, I've tried a high-quality cleaner to no avail. Anyone with instructions/suggestions on how to replace/repair the CD drive? Any ideas? Thanks.